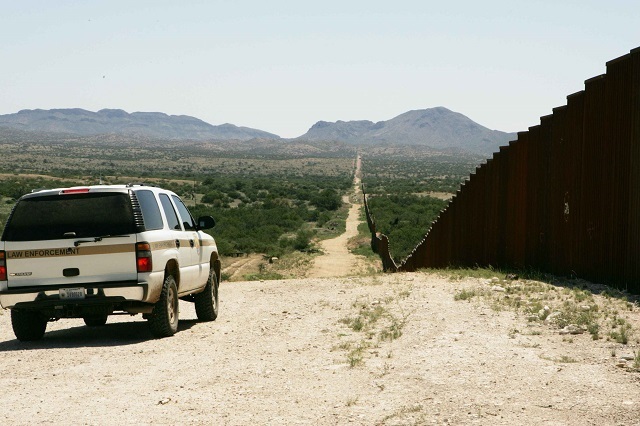 Republicans want the borders closed and Democrats want them wide open. 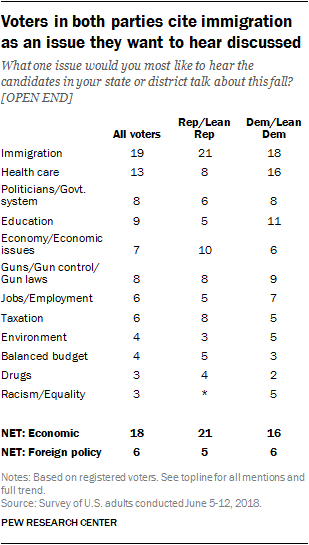 When asked about the issues they would most like to hear discussed in the congressional campaigns, voters were as likely to mention immigration issues as they were to want to hear about any other economic issue. About one-in-five (19%) mentioned immigration. Overall, 18% of voters mentioned some economic issue as what they wanted to hear discussed in the congressional campaigns. Substantial shares of registered voters also wanted to hear about health care (13%), education (9%), guns and gun issues (8%), specific politicians or the government system (8%) and the economy (7%). Overall, Republican and Republican-leaning voters’ answers were more varied to this question. The only thing that Republican voters mentioned at higher rates than Democratic voters was the border wall. Overall, 4% of Republican voters mentioned the border wall. Fewer than 1% of Democratic voters mentioned it. Democrats and Democratic-leaning voters were at least twice as likely as Republicans to mention health care (16% vs. 8%), education (11% vs 4%) and racial issues (5% vs. less than 1%). This could bode well for the Republicans and President Trump. Democrats have been going all in on their America Last policies with ridiculously over-the-top hysterics claiming immigrant detainment centers are "concentration camps" and ICE agents are Nazis. A recent poll in Europe found immigration was also the number one issue. We've since seen populist/nationalist parties win major victories in Italy, Slovakia and Hungary.